The new Eritrean law is currently the talk of town for men who are dying to visit the country and get the fair opportunity of marrying two wives. 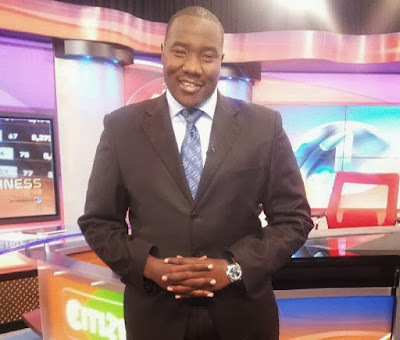 Well according to the well endowed Citizen TV news anchor Willis Raburu one woman is more than enough. Through a post on social media the news anchor expressed how difficult marriage life is and sited an example with the famous former South African President Nelson Mandela who was in prison for 27 years and after his release he filed a divorce after two years. According to Raburu having more than one woman is difficult since the women cannot stand each other. "Gentlemen just think for a second...Nelson Mandela was in jail for 27 years...but records show "The President initiated divorce proceedings in 1992, two years after his release from jail. " He been in jail 27 years but after two years of marriage he was like "get me outta here!!!!!" Lol na huyu ni mmoja, you want two ??? Think very carefully #EritreaNiWewe #MojaNiHeadacheWeweTakaMbili #EvenLadiesDontWantTwoOfThemselves #KenyaNdioHome #MyLandIsKenya #HotbedNiHuku"